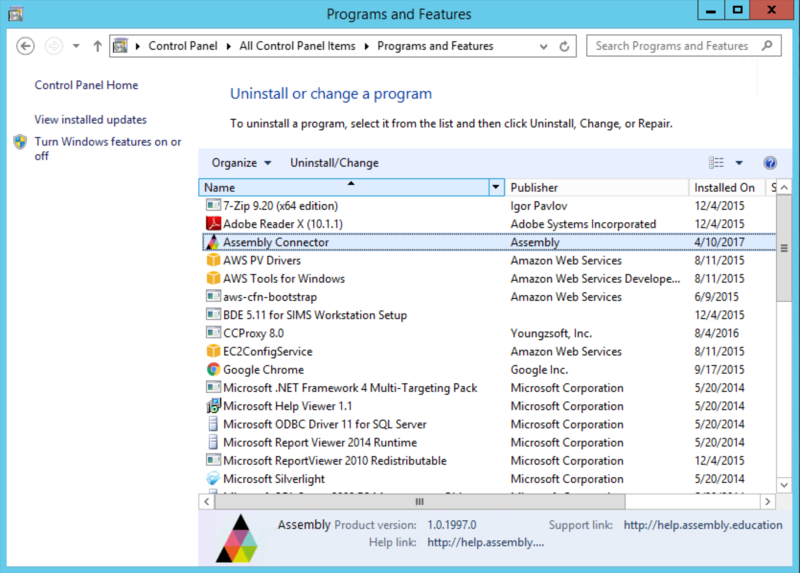 Schools may need to uninstall the Assembly Connector to debug installation issues, or because they want to reinstall it on another machine. 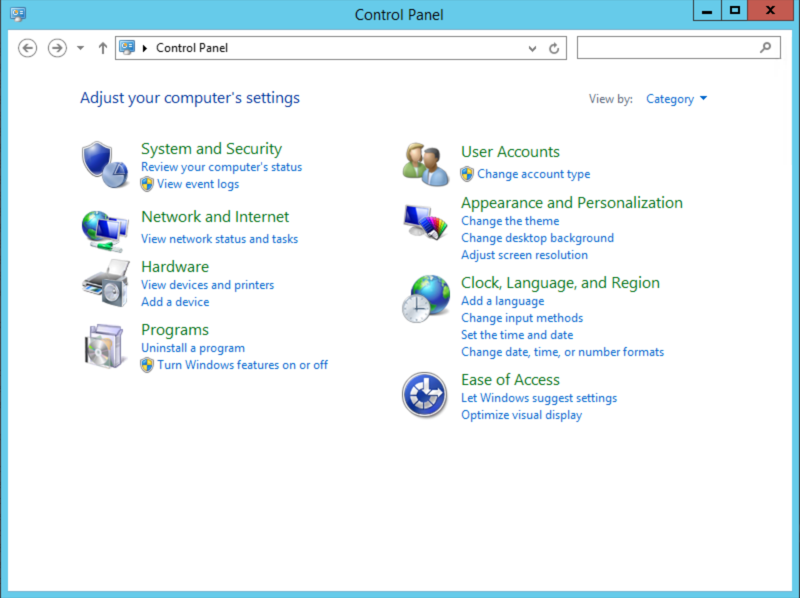 Please note: the Assembly Connector can only be installed on one machine at any one time. If you want to reduce how frequently the connector pulls information from your MIS, please contact help@assembly.education and we can arrange this for you. If you just want to stop the Connector temporarily, please contact the support team and we can arrange this for you. Click on Uninstall a program below Programs. 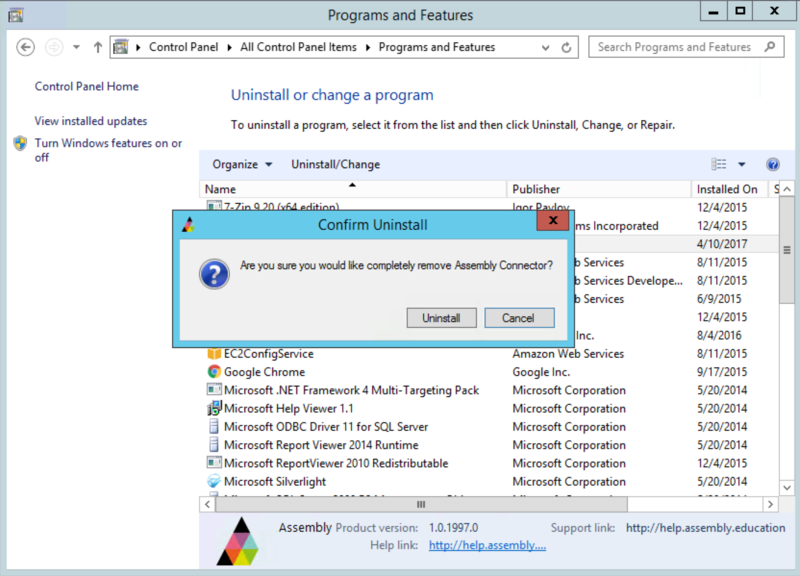 Double click on the Assembly Connector program and confirm you want to uninstall. Wait for the uninstall process to complete and then you're done.